well, I need new setup I was wondering if you could help me with it. I am offensive player I like to loop a lot and I like to block and chop sometimes. I play with right hand. I am 14 years old. I play TT for 1.5 year now. I didn't really tried much setups. I like the flexibility of the blade. Blackstone junior - cheap stiff blade which I didn't like. I was wondering if I could play with hurricane 3 neo. I learned the technique on Super 729 FX ( I think thats similar). My palms also sweat a lot. I think humidity and sweat change characteristics of the blade dramaticly. Do you have any tips on how to protect the blade from sweat? What setup would you recommend to me ? Is that bad for me ? Does Evo mx-p feel dead on flexible blade? Sorry for my English I am from Czech republic. You can seal to moisture-proof the handle & and bottom end area of the blade with 2 layers of urethane varnish . Or you can use electrical tape to wrap around the handle , keeping in mind it can increase the weight of your paddle up to about 5. grams . Don't know about electrical tape, though.. isn't it a little slippery? Maybe something like friction tape or the stuff badminton players use as grip tape. I have a roll of that kinesiology tape I've been meaning to use as grip tape for a while, never actually got around to it. When varnishing the blade (you did varnish the blade, right?) always get the handle too. Polyurethane doesn't become slippery in my experience, especially if you don't overdo it. As for the H3 - just get a sheet and put it on, and see. Lots of people (including Ma Long) use it, they can't all be wrong..
Cheap enough to buy two.. and then the price drops even more! How is your experience buying stuffs from AliExpress.com ? Two friends of mine complained about their creditcards ( i.e. Mastercard) being used illegally after buying a few items on this website . Someone in China bought merchandise with their credit cards !! 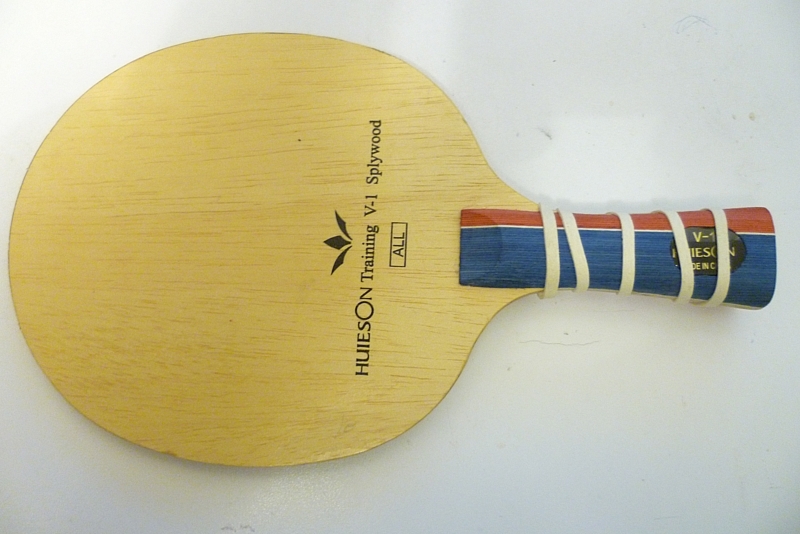 I bought most of my ping-pong stuffs from ebay.com and never have any problem . To avoid slippery, I cut a rubber band, wrap it around the handle first (See Photo_01), then wrap the electrical tape on top of the rubberband ( See Photo_02). It looks quite attractive . However, the downside is that these wrappings may increase the weight of the paddle around 6 to 8 grams, depending on the wrapping pattern used . Wow, the electrical tape with the rubber bands works well. When I will be varnishing the new blade I will varnish handle too. I am excited to try the cheap blade, but shipping to Czech republic takes about 2 weeks. .... but shipping to Czech republic takes about 2 weeks. 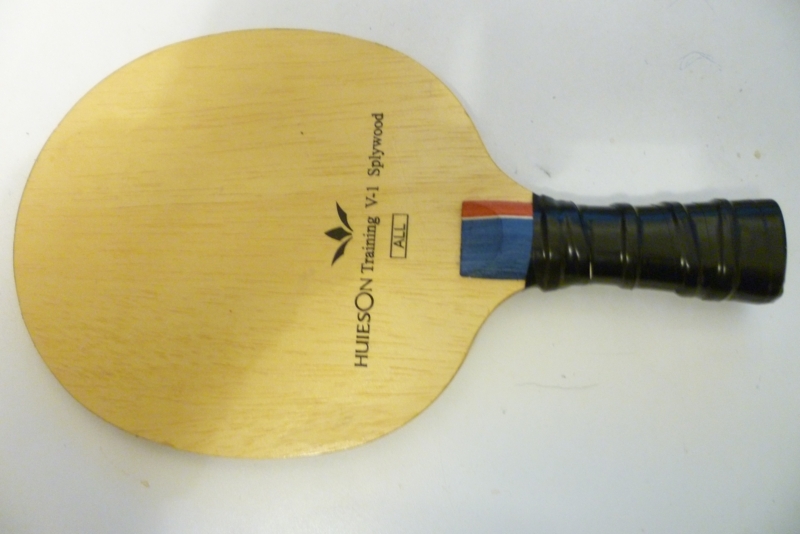 Is using the electrical tape aginst ITTF rules?